The introduction of proof of address by the ZEC will disenfranchise many voters in Zimbabwe.It is true that a lot of people are not gainfully employed, are lodgers and have no bank accounts. ZEC should have first of all carried out a research about this. 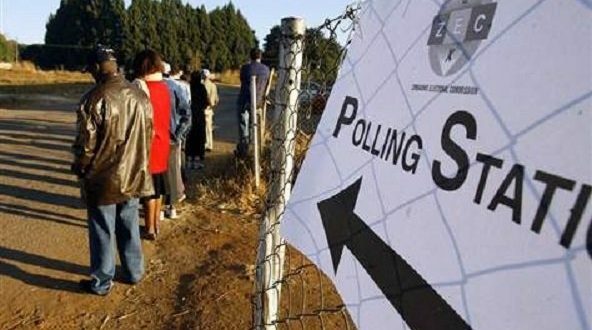 The human rights orgs in Zimbabwe must take ZEC to court for this matter, as it will affect a lot of people.This will not only affect people in urban areas, but also in the rural areas, were there is a bulk of the voters.It is a constitutional right of every citizen to vote.And denying them that right to vote, is a breach of their human rights and constitutional right. Furthermore,this system is not an advantage to any political party, as it affects all people in Zimbabwe. Therefore, the decision taken by ZEC, is irrational and illegal as it compromises many people. It is true, that African countries, learn some of the voting systems or other things from developed countries. But they should first of all research in their respective countries, to determine or to establish, as to whether what they want to implement or adopt, can be propagated successfully in their environment. In the first world jurisdictions, the use of proof of address is viable. ln Africa, it is not. Its just like the implementation of cash power in Zimbabwe, which has failed dismally. A lot of people now use firewood in urban areas. Such a scheme, is only viable were people have money and are not living below the poverty datum line. Thus another scheme that needs to be reversed. It is a right of every Zimbabwean citizen to have access to electricity. That is why, ZESA has engaged on a robust system of rural electrification.But the introduction or us of cash power system is contrary to its good policy of making electricity available to all. Therefore, in my opinion, ZEC, must (and not should) reverse its irrational policy of demanding proof of address from people, as it will impede a lot of people from voting in the forthcoming general elections. From my perspective, it looks like this is a unilateral decision. Because if this decision was born by many, really the others could have seen that it will not work in Zimbabwe. Perhaps, ZEC has a different definition of what constitutes or what proof of address is?